My Market Fresh Class is scheduled for Saturday and preparations begun. We will be creating beautiful 5 cards and market stand box for the cards. This card is one of the cards from the class. 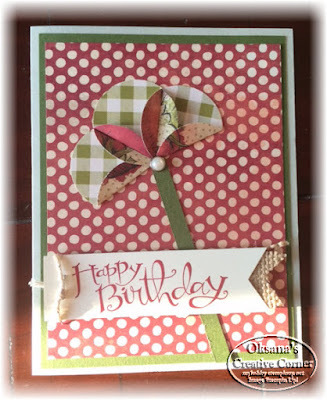 If You would like to get Class To Go with all supplies and instructions how to create all 5 cards - check my Class To Go section. I can even include 5 fully assembled cards in addition to class so you have them as a samples. Just email me with options. I absolutely love this week deals, as they include many consumable supplies - like Pearls (and let me tell you I use them a lot, it makes every card better!) and seam binding ribbon. Punches are at great deal ( but I have almost all of them anyway). And glimmer paper for all my Christmas Cards - just perfect timing! 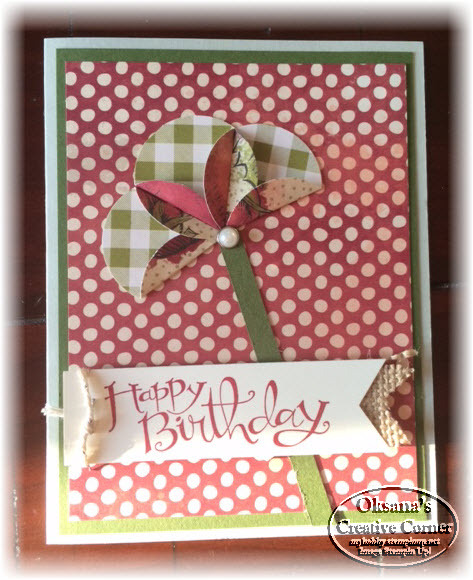 And Hip Hop Hooray kit is the #1 choice for me - everything to create 20 cards including stamp and ink!! !